Our programs are funded through the generosity of people like you, who share our vision and are willing to Invest in the next generation of Native Youth. 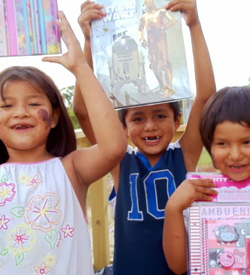 Any amount helps fund a program for Native Youth on Pine Ridge Reservation. Interested in supporting us this #GivingTuesday? We will be a part of holiday giving challenge through Crowdrise and the Newman’s Own Foundation. If we raise the most money this holiday season, we can win a grant of up to $150,000 and if we raise the most this Giving Tuesday (the Tuesday after Thanksgiving), then we can win a grant of $50,000. Either or both awards would be a huge help to ensure that we can provide arts, education, sports, leadership and mentorship opportunities to Lakota Youth! Additionally with a grant of this size we could hire two more individuals from the reservation to help with our daily operations. The challenge runs from Nov. 21 – Jan. 3, please consider making a tax deductible donation on our #GivingTuesday fundraising PAGE. We need YOUR help on#GivingTuesday, Nov. 28th in order to be considered to win a $50,000 grant. Please mark your calendars, we can not do it on our own. All contributions made on Giving Tuesday will go towards the Newman’s Own challenge. Contributions of any size will be appreciated. Click the orange donate button to go to our fundraising page. Thank you!